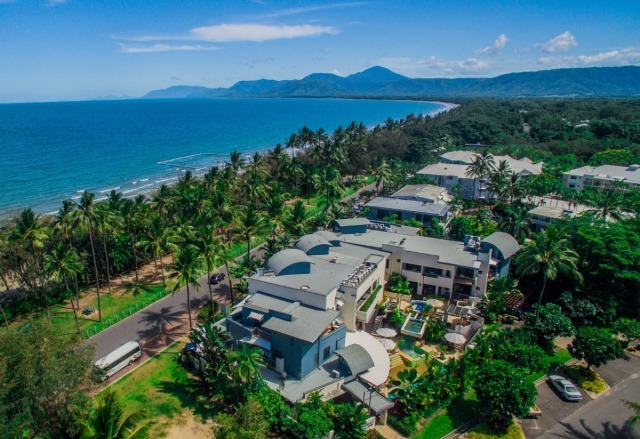 The Port Douglas Beachfront Indulgence offers 5 nights of luxury at Multi Award Winning 'The Peninsula' in Port Douglas. Enjoy a beachfront suite where all your needs are attended to including airport transfers, daily room service & breakfast and free Wi-Fi. 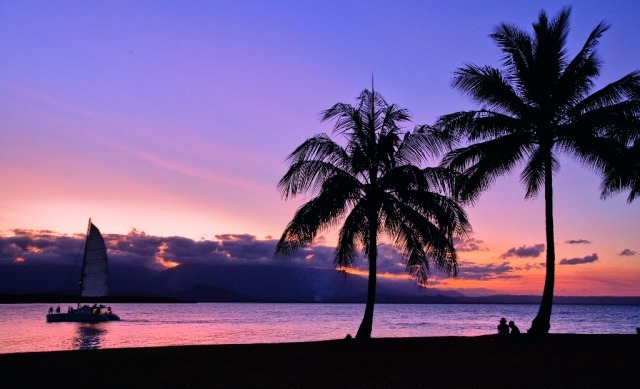 Top this off with a sunset sail and a trip to Mossman Gorge & the Daintree to complete your Port Douglas experience. 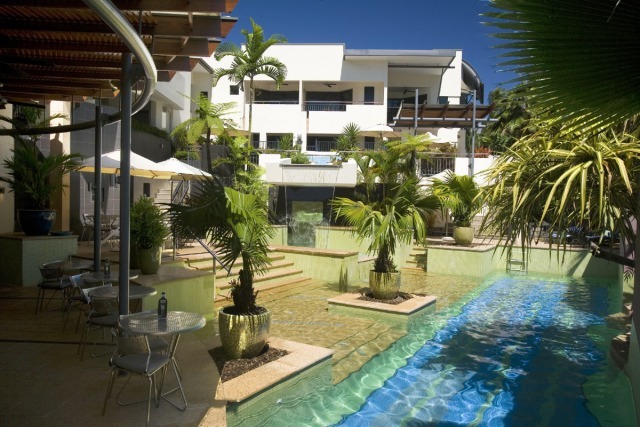 Your holiday begins as soon as you arrive into Cairns with a door to door airport transfer included in this package. 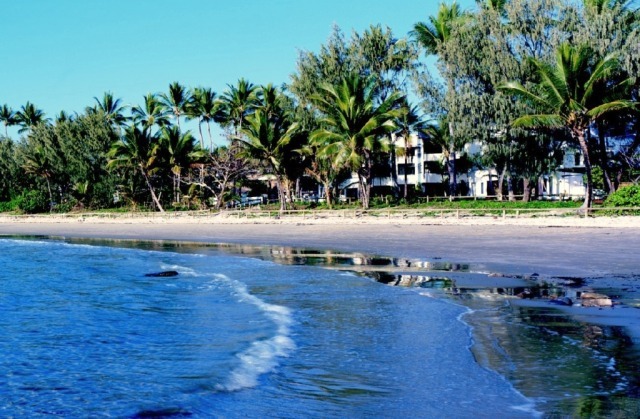 Enjoy a scenic coastal journey along the Captain Cook Highway to the tropical village of Port Douglas. 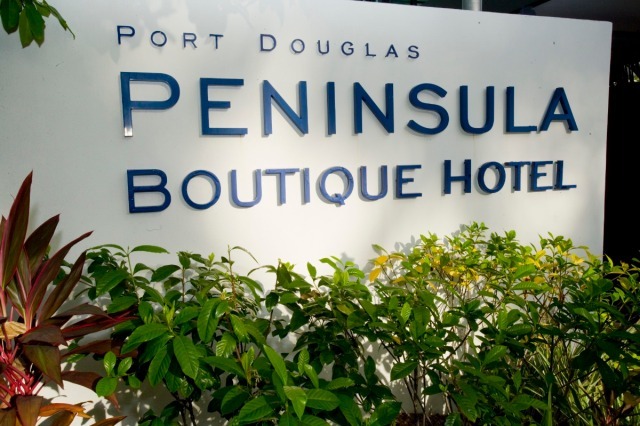 Peninsula Boutique Hotel is only 40 steps to sand in your toes. 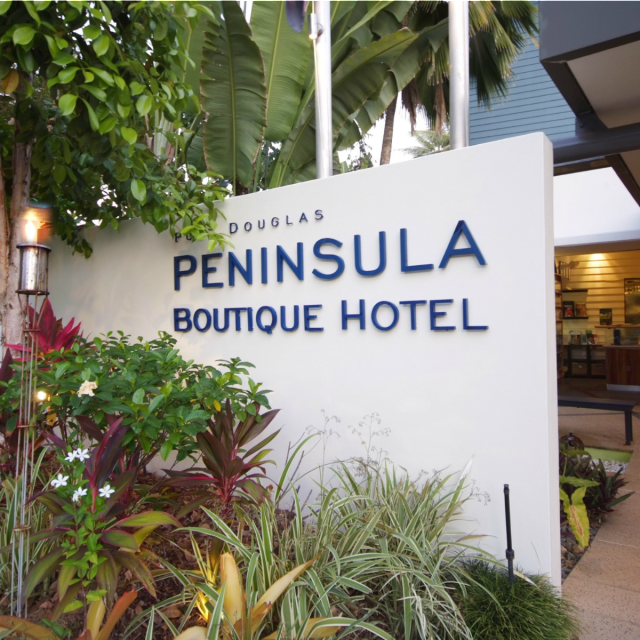 Peninsula is the only hotel in Port Douglas with beach and ocean views. 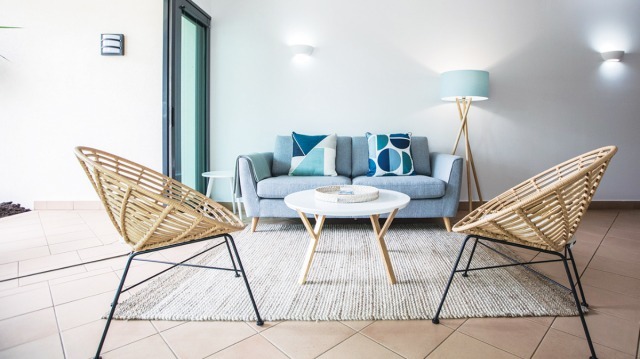 Tropical luxury awaits... 4.5 star modern contemporary boutique resort combines the benefits of self-catering one bedroom suites with hotel service. 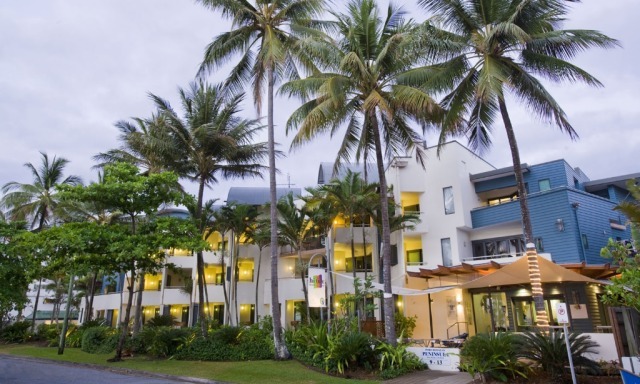 Less than 2 minutes stroll to the friendly village atmosphere of Port Douglas. Stroll to cosmopolitan boutiques, restaurants and entertainment options. 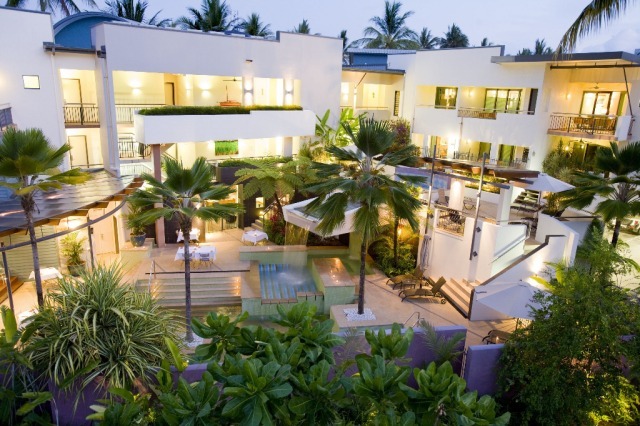 A most sought after location – an oasis one never wants to leave. 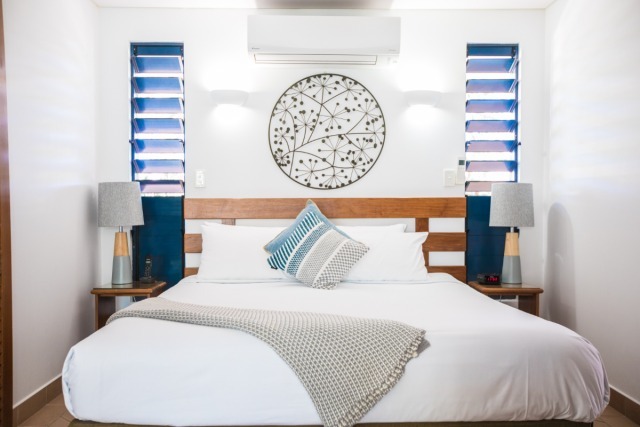 Peninsula Boutique Hotel is an adult only haven perfect for couples and singles desiring a peaceful and relaxing tropical getaway. 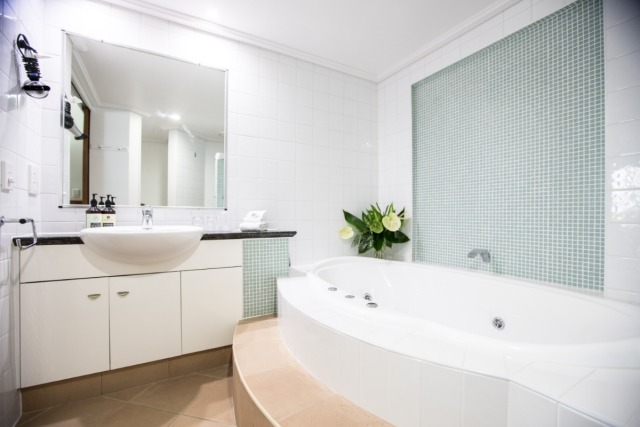 You will be welcomed to The Peninsula with a refreshing aromatherapy towel and drink on arrival. 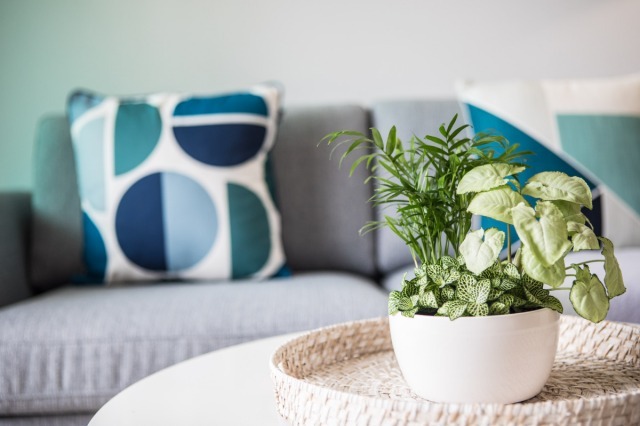 The small professional team will show you all the features of the hotel, with many inclusions to make your stay as comfortable as possible. 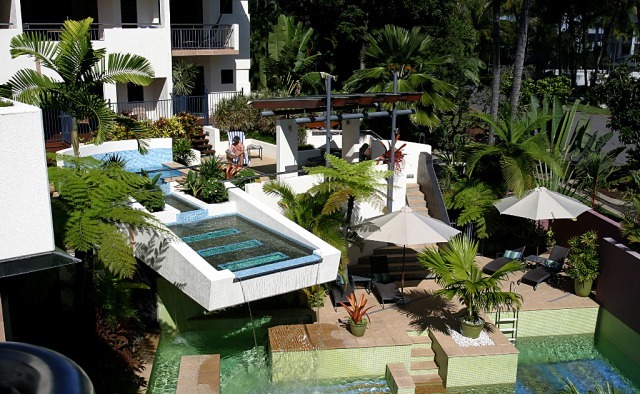 The hotel comprises of 28 Ocean View and 6 Pool View fully air conditioned one bedroom suites. 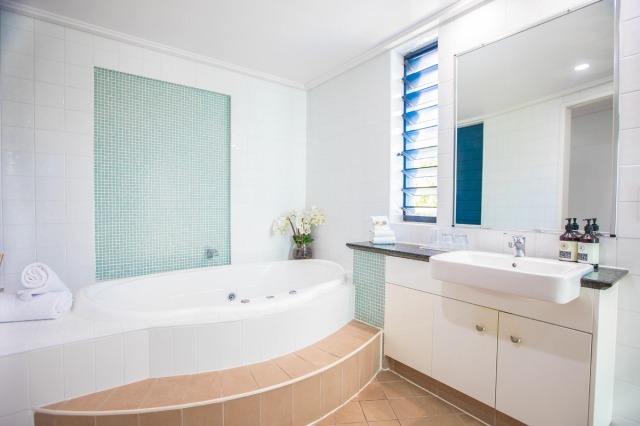 There is also 1 x Peninsula Suite with both views of the beach and pool. 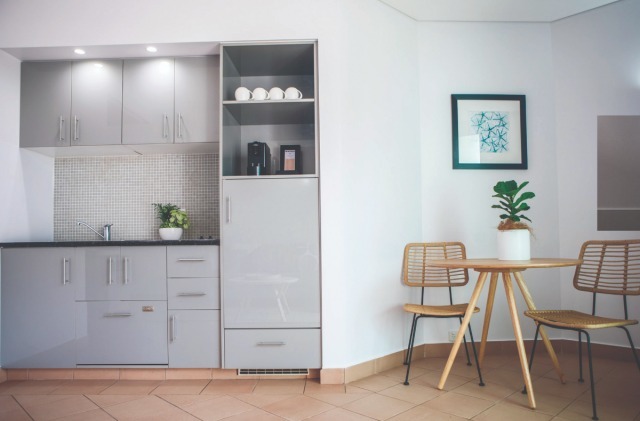 Dishwasher, refrigerator, microwave & hotplates. 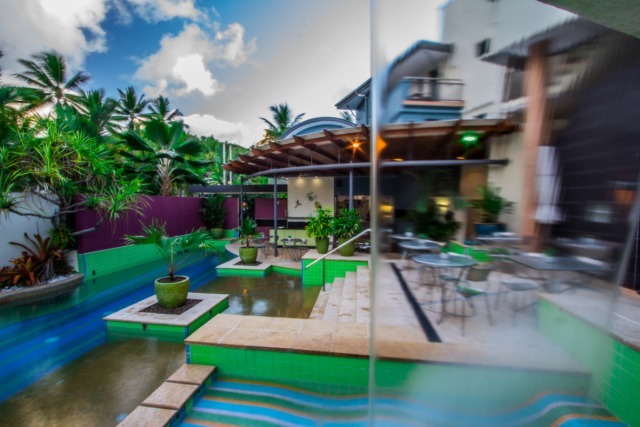 Pool View Suites: Overlooking multi-tiered heated pool oasis with glimses of rainforest covered Flagstaff Hill and Tableland ranges. These Suites capture the afternoon sun on your private terrace or balcony. 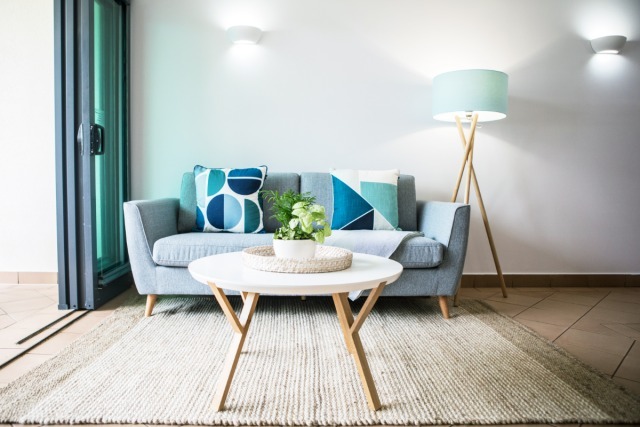 An abundance of natural light enhances the colour palate. 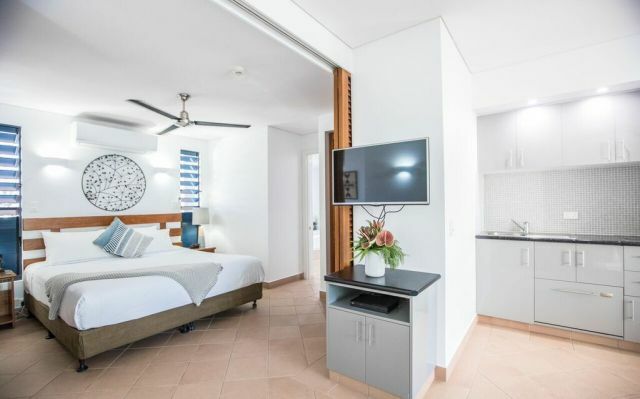 Ocean View Suite: Wake up to the rising sun shimmering on the Coral Sea and the natural sweeping coastline of Four Mile Beach. Floor to ceiling glass doors open to your private spacious balcony, seemlessly allowing the "outside inside". 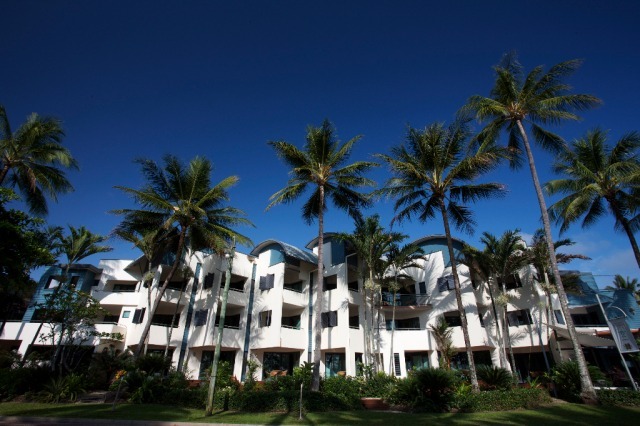 Onsite licensed cafe bistro "Hi Tide"
Internet kiosk in lobby foyer with complimentary printer. The heated pools unique design, set over three levels incorporating submersed grotto and waterfalls make this a cool calming and relaxed atmosphere to laze on the sun lounges or enjoy a cool refreshing drink or cocktail. 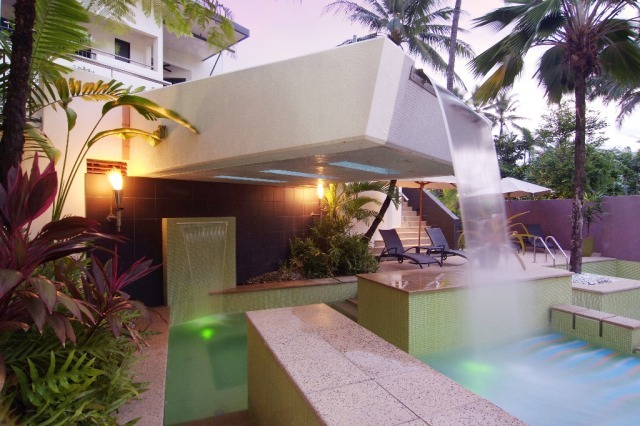 The heated Jacuzzi / Spa is just perfect for relaxing - day or night, set amongst the tropical gardens. The hotel welcomes guests over 17 years. Children are not catered for. 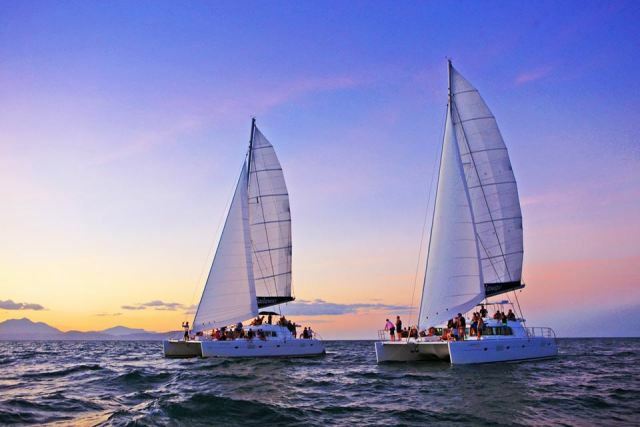 The Sailaway Sunset Cruise departs daily. Please advise your prefered day. 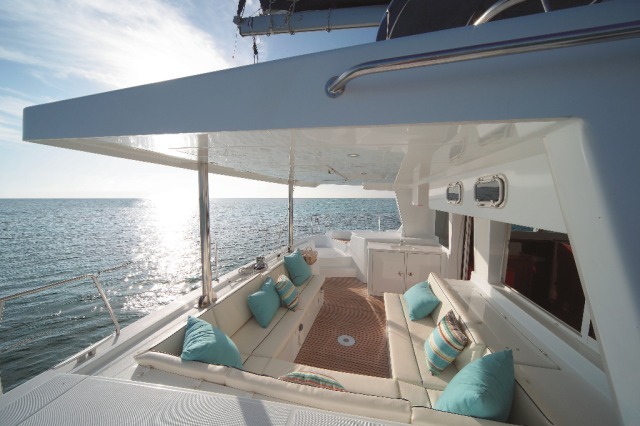 Relax with a gentle afternoon cruise onboard the new luxury 'LAGOON 500' from France. 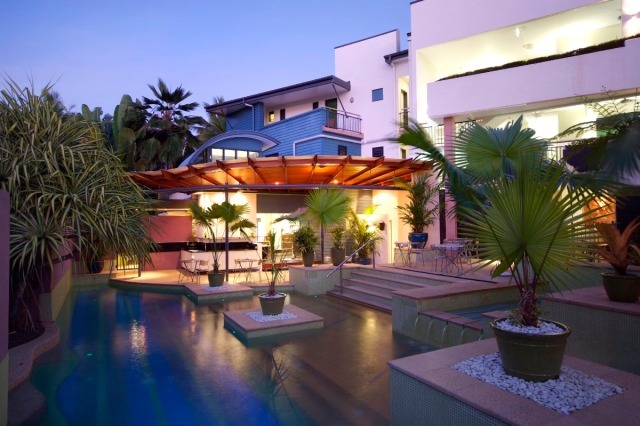 Soak up the peace and tranquillity of a tropical Sunset over the Coral Sea with spectacular mountain views. 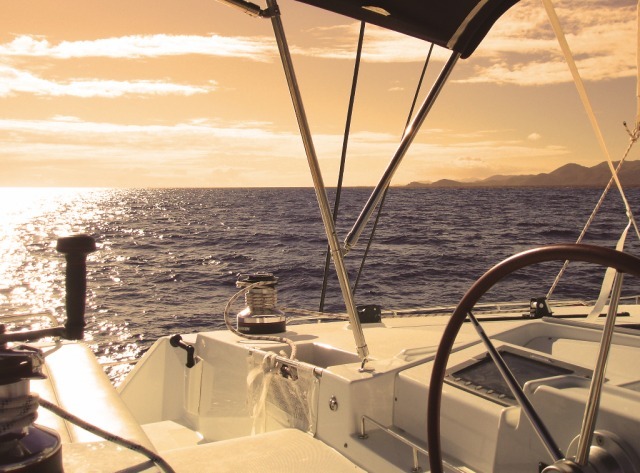 Sailaway IV is a fully licensed premises, additional drinks available onboard for cash purchase. This is a great way to spend the afternoon - exploring our beautiful surrounding rainforests! 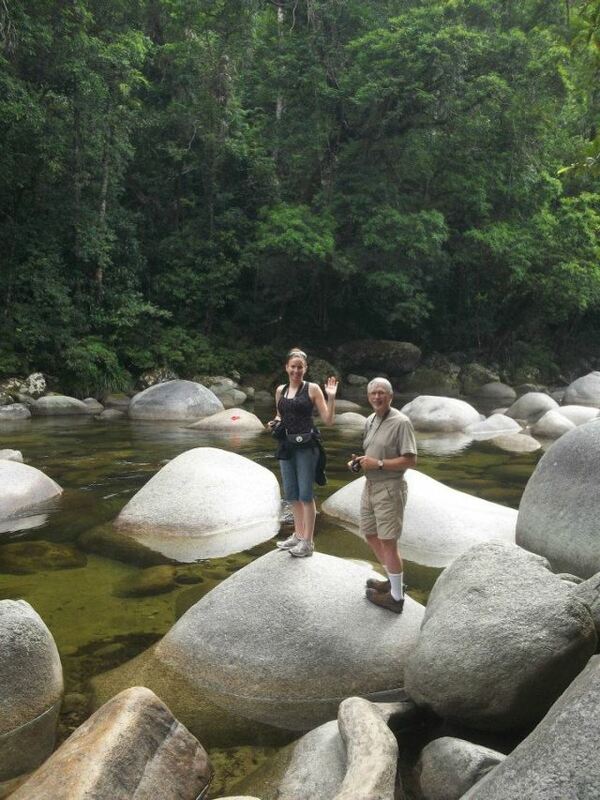 Mossman Gorge is one of the most visited spots in the Wet Tropics. Part of the Daintree National Park, Mossman Gorge National Park provides a nice, easy and accessible introduction to the tropical rainforest. 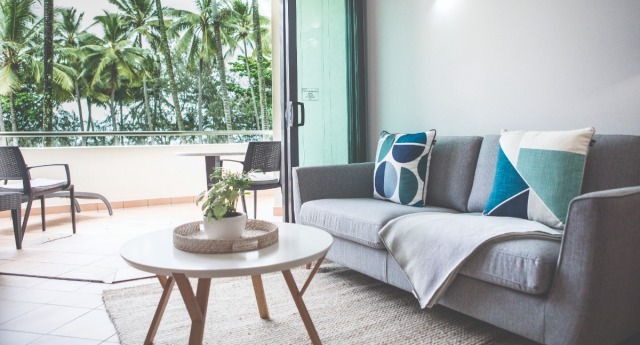 Lush rainforests cloak steep mountainsides from the riverbanks up to the rugged eastern slopes of the Main Coast Range, and crystal clear water cascades over large granite boulders in the Mossman River gorge. This is a great location to cool down in the crystal clear waters running down from the Tablelands. 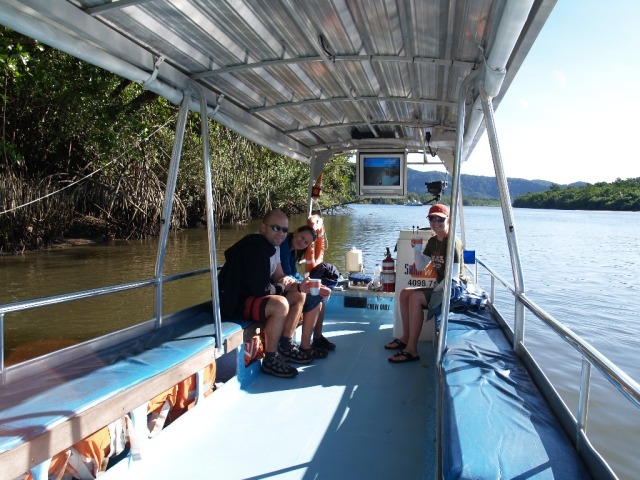 Daintree Discovery Tours will pick you up from The Peninsula and transfer you to the mighty Daintree River, where you will join a Daintree River Cruise. 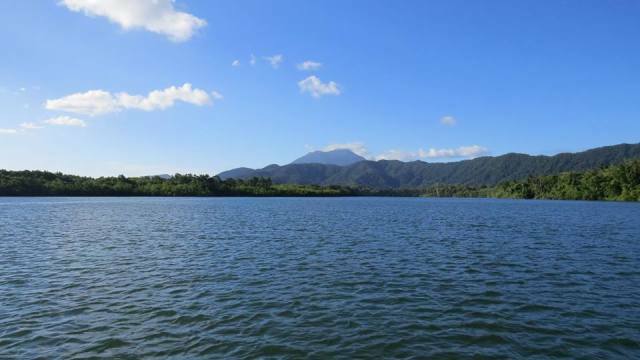 Daintree River is a calm water haven for lots of native birds and wildlife, including the elusive crocodile. 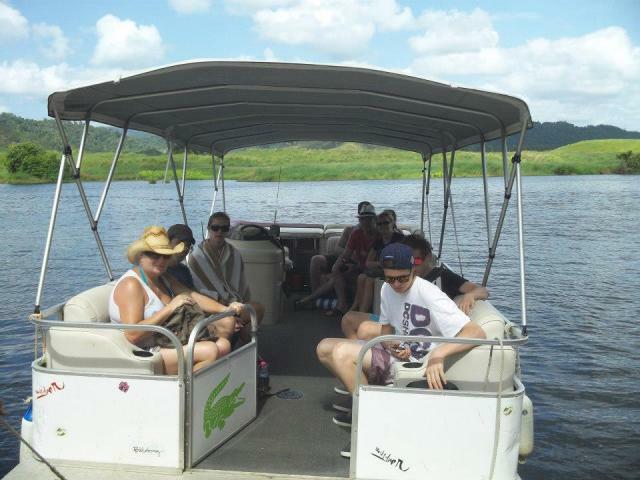 Keep your eyes peeled and enjoy the relaxing cruise where you could just see a crocodile or two! Following this, journey to the beautiful Mossman Gorge. 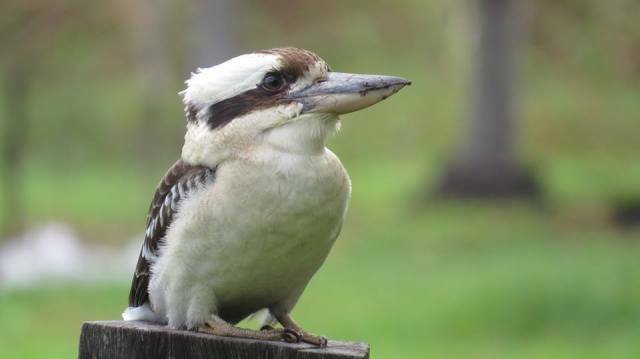 Your informative guide will take you on a fully guided tour along Mossman Gorge where you will have the opportunity to learn about the special rainforest plants and their uses by the Kuku Yalanji people for food, medicine and materials. The walk will take approximately 15 - 20 minutes. Average fitness is required. Please bring swimmers and towel for a refreshing dip after the walk. Day Six - Check out Exemplar transfer to airport, seat in coach. Great afternoon spent in the Daintree and Mossman river. Really liked the personal touch ..
Had a fantastic time here ...Room ,staff and facilities great ...Really liked the personal touch .. The ocean view suite was worth the money. The view and sound of the ocean was magic. The breakfast is delicious and the location is great. Nothing was too much trouble for the staff and we were kept informed of all our tours and transfers which made our stay even more relaxing. We love kids but it was so nice having a swimming pool to actually swim in whenever you pleased and no screaming. A brilliant holiday thankyou. Exceptional staff! Brilliant Time! Will be back! This was the best thing we did on our holiday and was part of a birthday present for my partner. She loved it! SO made me look like a legend. The crew and staff were exceptional and everyone had a brilliant time. Will be back for sure! We had a fantastic time. Thanks Shay for your infectious laugh.